The young woman was left to not only navigate her bleak fate, but to do it alone. The desperate young woman was open, and curious. She listened intently as Dr. Igiraneza shared, telling her about a Father in heaven. The doctor spoke of the unconditional love of Jesus, and that if we believe that He died for our sins, He is both faithful and true, and will cleanse us from all of our sins and make us whole. “I reminded her that this life is not her own, and that death is the end of our life but the first chapter of eternity,” he recalls. In the midst of her pain, the news touched the dying woman’s heart.“I prayed with her, and she invited Christ into her heart,” he recounts. The next morning, the young woman died. As a physician training in family medicine, Dr. Igiraneza is fulfilling a dream to practice medicine in his home country of Burundi. Additionally, his training uniquely equips him to handle the acute needs that affect those in impoverished rural areas. In an environment with very little resources, the family medicine doctor can provide care that is more holistic, rather than extremely specialized. “The problem with specialties is that there is no one to lead the primary care team, and there aren’t enough specialists to staff hospitals,” said Dr. Bruce Dahlman, who leads the department of family medicine at Kabarak University, in an article published in CMDA’s April 2017 newsletter. The presence of highly skilled and well-trained family medicine Burundian physicians (also known as generalists) could very well be the catalyst in changing the future of health care in Burundi (and other African nations). It is little wonder, then, what led him to pray for his dying patient. To bring a lasting hope to her, even when it seemed as if all else had failed. Paving the way for national healthcare workers like Dr. Igiraneza to become missionaries to their own people is a critical piece in fulfilling MedSend’s goal to bring God’s transformational hope to the world. Like the experience Dr. Igiraneza had with his dying patient, the value of having Christian physicians treating the physical ailments of people in need is incalculable. But the additional spiritual care, delivered by a practitioner who shares the same culture and speaks the same language… has eternal impact. National healthcare professionals provide a particularly effective approach to healthcare ministry, and are a crucial element of the process of building permanent, sustainable, and thriving healthcare systems where they are needed most. Generous giving by our supporters has enabled MedSend to grow the Nationals program in remarkable ways during the last five years. God is calling us to do more to build the Nationals program, in order to provide funding to even more national healthcare workers. 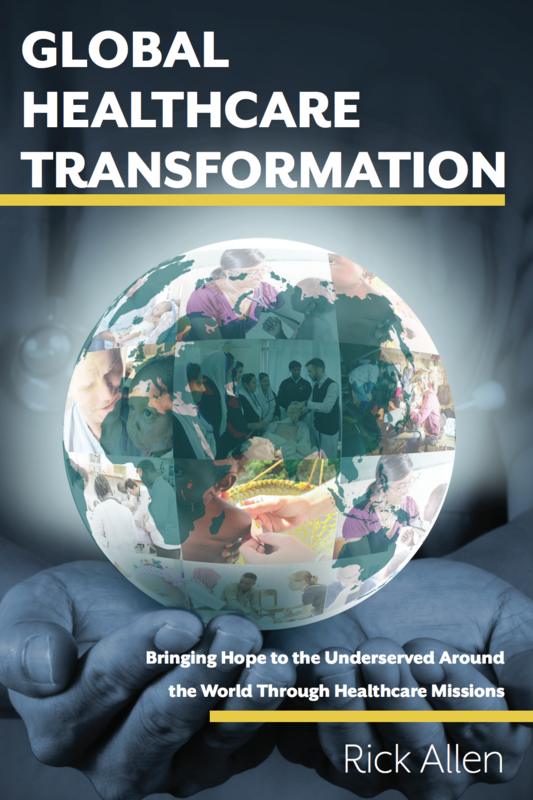 Will you consider joining us in this effort to bring transformational hope through Christian national healthcare workers?